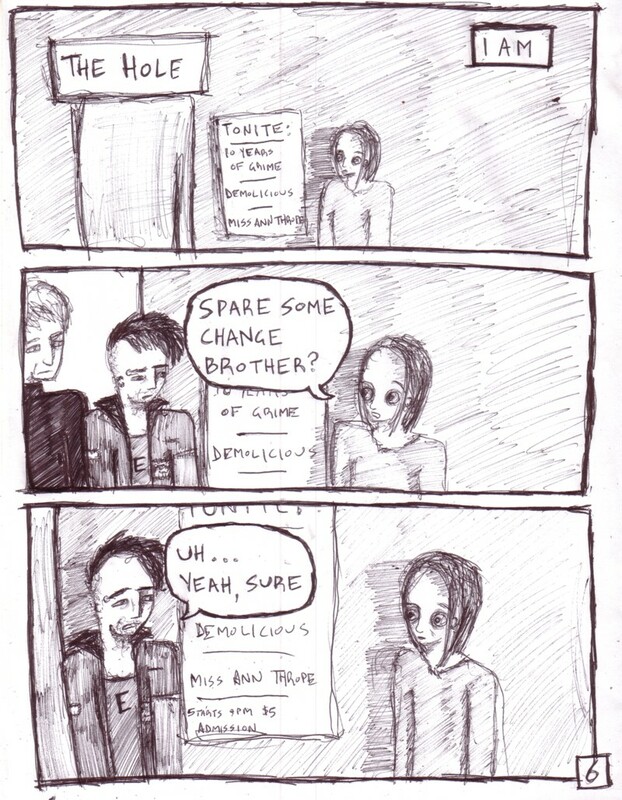 Okay, so, the real reason I wanted to upload this comic is because I really like this punk feller and didn't want him to fester away in the folder of un-uploaded comics. I wanted him to be free! He's cute. His name is Jake. Jake looks neat... and who's the anime-sissy next to him?